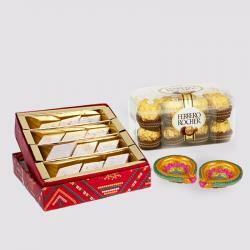 Product Consist : Box of Assorted Dryfruits (Weight : 500 Gms) with 16 Pcs Ferrero Rocher chocolate Box and Pair of Diwali Earthen Diya. This is a very beautiful gift if you want your dear ones to stay blessed always. This is a hamper that is full of piousness and happiness. It Makes for a really thoughtful and warm gift for colleagues, friends and relatives. 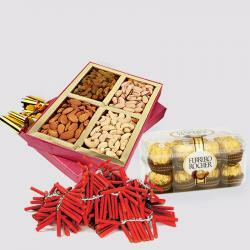 You can easily send Diwali gifts to anywhere from our website and we promise a ideal Diwali shopping experience. 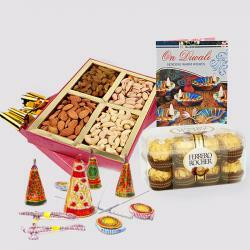 Exclusive Earthen divas for this exciting diwali filled with joy and happiness. 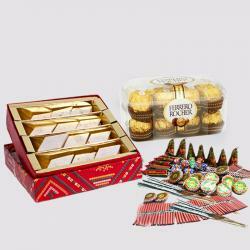 we can deliver the gift directly to the receiver Magnify the traditional celebrations this festive season with this charming and beautiful hamper. 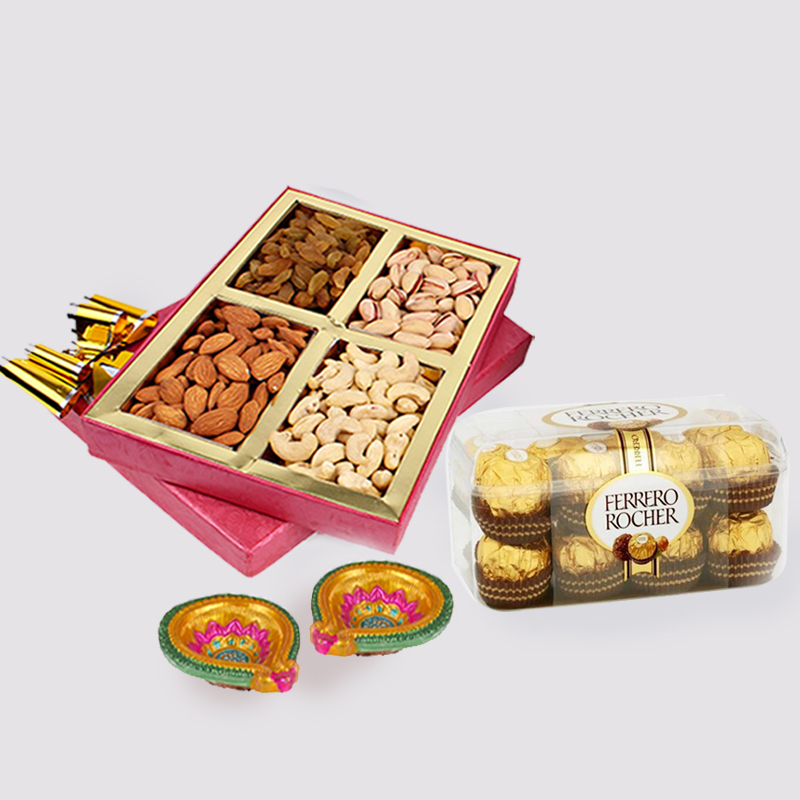 Product Includes : Box of Assorted Dryfruits (Weight : 500 Gms), 16 Pcs Ferrero Rocher chocolate Box and a Pair of Diwali Earthen Diya.